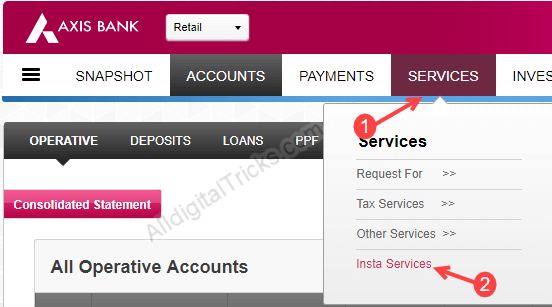 Here we will tell you how to change Axis Bank branch online. 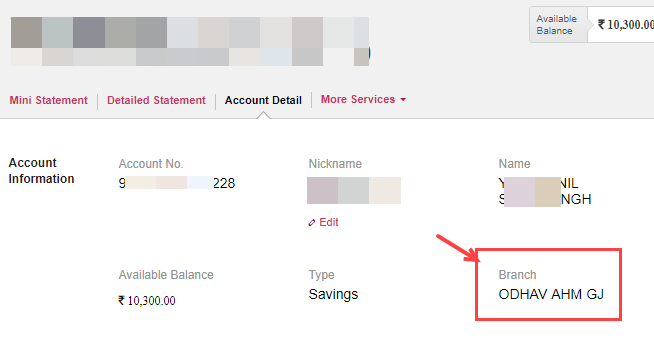 You can transfer your Axis Bank saving account to another branch online. No need to visit Bank. Axis bank is largest private sector bank in the country. You can open your saving account with minimum Rs.10000 deposit. 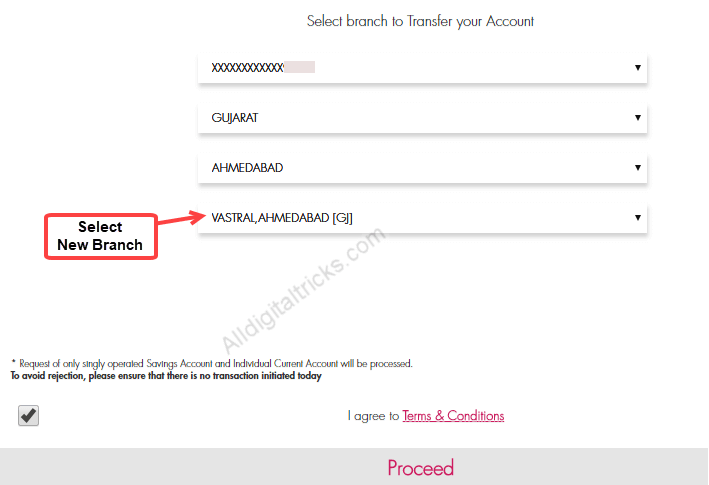 If you are planning to transfer your axis bank account to another branch then follow this step by step online process. To change your Axis bank branch online you must have internet banking or mobile banking facility. If you are not registered for these facility then read below to activate it. 1: First, you need to log in to your Axis Bank Net Banking Account, enter user id and password to login or enter debit card number and PIN. 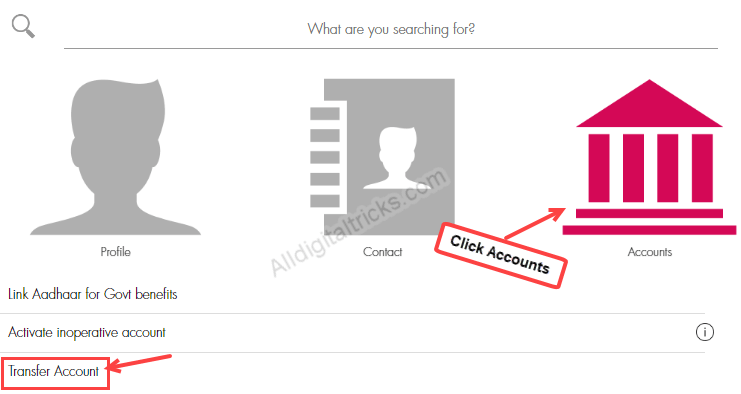 3: In Insta Services, click on Accounts and then click on Transfer Account. 4: In the next screen you have to confirm your address. Click on Correct. 5: In next screen you need to select your new branch. Select your account then select state, city and new branch. Click on proceed. Your account transfer request submitted successfully. You can see success message in next page. Note your reference number. You request will be processed in working 2 days. You will receive SMS/email after successful transfer process. To check whether your saving account transferred to new branch or not login to net banking. After logging in, click on Accounts and select your account number. 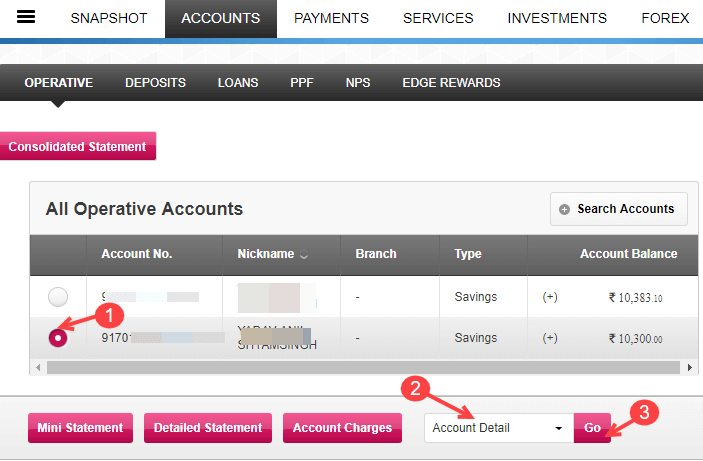 Now select Account Details and click on Go. You can see your branch details in next page. So by following this process Axis Bank customers can transfer their saving account to another branch through net banking or mobile banking. In my case i successfully transferred my axis account online to my nearest branch. This facility available online for all through netbanking and mobile banking. If I transfer my saving account to another axis branch, will my ppf account also transfer along with this saving account ??? No, only axis Bank saving account will be transfer. No, only axis Bank saving account will be transferred.